You deserve much more than a sign in the yard, fliers in a box and an occasional open house. You deserve an agent who will be at your side, from listing to closing, ensuring that your property sells smoothly and you get the most money possible from the sale. Our local real estate market expertise means we’re able to interpret all data that dictates the optimum pricing strategy, so your property will be priced to sell. We dig deep to learn the unique selling points of your property and neighborhood. So our marketing plans and staging strategies will effectively target and attract your potential buyers. It’s a formula for success. And, of course, we’ll take the time to listen, understand your challenges and goals and answer any questions you may have along the way. It’s all about you, our client. Our entire focus is on your complete satisfaction. In fact, we work to get the job done so well, you will want to tell your friends and associates about it. Maybe that’s why more than 85 percent of our business comes from repeat customers and referrals. Your needs always come first. We provide the service we agree to, in the ways that work for you. Whether once a week or once a day, by phone, email or text message. That’s how we’ll do it. Your home will be priced right, adjusted as needed, and will sell quickly. With a keen understanding of both the big picture and the very latest local and neighborhood listing and sales data, the information you need is at our fingertips. In the meantime, we hope that you’ll take the time to review the attached information before our appointment so that we can get your property listed right away and get you on the move! What is the average number of days your listings are on the market before selling? Will you service our listing personally or will we be working with your assistants? How many sellers and buyers are you currently representing? What is your Internet marketing program? What is your policy on responding to phone calls/emails/text messages? Do you offer an “easy exit” listing so that I can end our agreement if I am not satisfied? It can feel like the details are endless when you’re selling a property. It is our job to streamline the process for you, ensuring everything is completed as quickly and efficiently as possible. Here’s an overview of the steps we’ll be taking along the way. We will solicit feedback from each consumer and agent who views your property, passing their comments on to you. Preparing for success. Prepare your home for the sale. • Keep pets secured outdoors. We are not the one who decides how much your home is worth. The market does. As prospective buyers often make purchases based on emotion, first impressions are important. We’ll be able to help in optimizing the physical appearance of your home to maximize the buyer’s perception of value. Our primary goal is to net you the most money possible. We believe this pricing plan, matched with my 14-step marketing plan, will draw agents and buyers to your home and position it as a highly appealing, highly competitive property. Designed to capture the maximum exposure for your home in the shortest period of time, we’ll implement our proven 14-Step Marketing Plan. Price your home strategically so you’re competitive with the current market and current price trends. (80% of the marketing is done when we decide on what price to list your home. If you are unwilling to list at current market value, you would be better off not putting it on the market at this time.  Optimize your home’s internet presence by posting information in the Keller Williams Listing System (KWLS), as well as in local and global MLS systems, including plenty of photographs and a description of your property. Hire professional photographer to photograph your home and capture it’s best features and benefits. Produce a 360° virtual tour of your home, placing it on multiple Websites to attract both local and out-of-town buyers. Advertise your home in my real estate magazine and neighborhood newsletter as well as in direct mail campaigns, email campaigns and social media. Do you need an agent to assist you in your relocation? Need a recommendation for a moving company? Would a moving checklist help?  We’re happy to refer you to great providers of other real estate-related services. We’re here to make the sale of your home as smooth and stress-free as possible. The closing process finalizes the sale of your home and makes everything official. Also known as settlement, the closing is when you get paid and the buyer receives the deed to your home. The closing agent will look over the purchase contract and identify what payments are owed and by whom; prepare documents for the closing; conduct the closing; make sure taxes, title searches, real estate commissions and other closing costs are paid; ensure that the buyer’s title is recorded; and ensure that you receive any monies due to you. Ensure Your Home Sells at Top Dollar! It is very important to price your property at a competitive market value right when you list it. The market is so competitive that even over-pricing by a few thousand dollars could mean that your house will not sell. It is interesting, but your first offer is usually your best offer. Here are some reasons for pricing your property at the market value right from the start in order to net you the most amount of money in the shortest amount of time. Most people are turned off by even the smallest amount of dirt or odor when buying a home. Sellers lose thousands of dollars because they do not adequately clean. If your house is squeaky clean, you will be able to sell your home faster and net hundres, if not thousands of dollars more. If you are planning on moving, why not get rid of that old junk now so that your house will appear larger? Make more space. Odors must be eliminated especially if you have dogs, cats, or young children in diapers or if you are a smoker. You may not notice the smell, but the buyers do! Top selling agents will not show your home if both the key and access are not readily available. They do not have time to run around town all day picking up and dropping off keys. They want to sell homes! The greatest way to show a house is to have a lock box accessible to real estate agents and allow access to the home when requested. Let us know whenever your home is shown by any agent who does not use the lockbox and leave the showing agents name, real estate office, day and time of showing. Our listing coordinator will immediately contact the agent for showing feedback which will give us useful information to use in marketing your home. Paint is your best improvement investment for getting a greater return on your money. Paint makes the whole house smell clean and neat. If your house has chipped paint, exposed wood, or the paint looks faded, it is time to paint. If your carpet is worn, dirty, outdated, or an unusual color, you may need to seriously consider replacing it. Many houses do not sell because of this problem. Don’t think that buyers have more money than you have to replace carpet. They don’t. They will simply buy another home. Your front yard immediately reflects the inside condition of your house to the buyer. People enjoy their yards. Make certain that the trees are trimmed so the house can be seen from the street. Have the grass mowed, trimmed and edged. Walkways should be swept. Clean away debris. Remove parked cars. This all adds to curb appeal. If a buyer doesn’t like the outside, they may not stop to see the inside.